It's known that Tamil superstar Chiyaan Vikram is portraying the role of Karna in Malayalam director RS Vimal's Bollywood debut Mahavir Karna. The film, which is tipped to be a war drama will be bankrolled by a New York-based production house, United Film Kingdom for a massive budget of Rs. 300 crore. Mahavir Karna was earlier planned to be made in Malayalam with superstar Prithviraj Sukumaran, who had starred in RS Vimal's Malayalam blockbuster film Ennu Ninte Moideen. Several media reported that RS Vimal had a fallout with Prithviraj which forced him to replace the Malayalam actor with Chiyaan Vikram. However, RS Vimal squashed the reports and revealed the real reason behind replacing Prithviraj with Chiyaan Vikram in his recent interview. RS Vimal stated that he wanted to make Mahavir Karna in Malayalam on a bigger scale, but the initial producer had to back out from the project as he can't invest more than Rs. 30 crore for the film. He also revealed that United Film Kingdom expressed their interest to collaborate with him and offered Rs 2000 crore to bankroll the project. 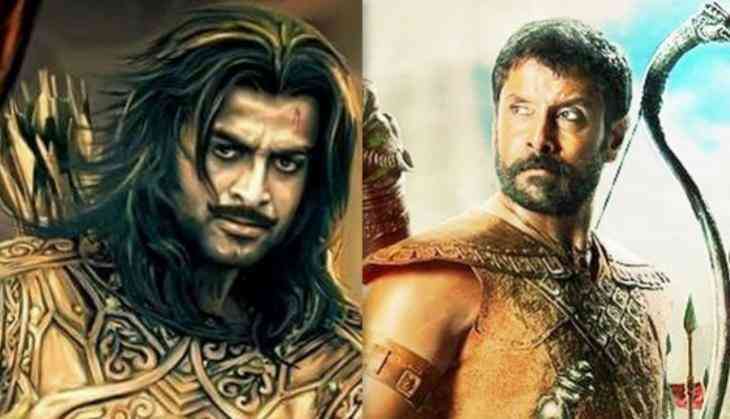 RS Vimal went on to say that he had informed Prithviraj about making Mahavir Karna in Bollywood with Vikram to which the Malayalam actor was completely okay with the decision and even wished him best of luck. Mahavir Karna will go on floors from October, 2018 and is scheduled to release in December, 2019.